Food safety is never far from the headlines in APAC, and our latest monthly review reveals the latest developments in Indonesia, Philippines, Singapore, China anad Hong Kong. China’s Belt and Road Initiative will release 10 billion renminbi or $1.5 billion next month to finance development projects in the Association of Southeast Asian Nations, including the Philippines. For South Korean financial companies looking out for new growth momentum, the “New Southern Policy” — the key foreign economic policy of the Moon Jae-in administration — came as a timely opportunity to create synergy with the fast-growing Southeast Asian market. VIENTIANE: Maybank Foundation has spent RM1.8 million to expand its Maybank Women Eco-Weavers initiative to preserve, sustain and promote traditional textile making techniques in Asean. 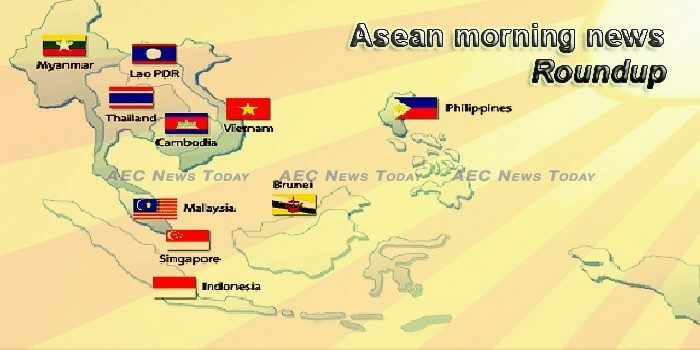 When Asean was formed on Aug 8, 1967, no one gave it much of a chance. Asean (Association of South-east Asian Nations), after all, was built on the basis of ASA and Maphilindo, both of which had failed. The Internet of Things (IoT) across Southeast Asia is being used in different sectors and for a myriad of purposes including healthcare, agriculture, smart cities, smart homes, or the industrial internet, just to name a few. The seventh seminar on Vietnam-Cambodia-Laos cooperation took place in Vietnam’s northern province of Quang Ninh on October 15, highlighting the significance of economic ties between the three countries. Thailand’s Deputy Prime Minister and Defense Minister Prawit Wongsuwan is scheduled to attend an ASEAN (Association of Southeast Asian Nations) Defense Ministers’ Meeting (ADMM) in Singapore later this week. Southeast Asia is increasingly emerging as an important market for South Korean companies, particularly in light of the of the Moon Jae-in government’s “New Southern Policy” that aims to elevate Korea’s ties with the Association of Southeast Asian Nations and India. Over 80 participants from 40 entities gathered at the ASEAN Secretariat’s headquarters in Jakarta, Indonesia on October 15 for the 2nd Forum of Entities Associated with ASEAN. Cambodia exported 389,264 tonnes of rice in the first nine months of the year, a fall of 8.4 percent compared with the same period last year, official data showed on Monday. The Kingdom of Cambodia marks today the sixth-year anniversary of the passing away of His Majesty Preah Bat Samdech Preah Norodom Sihanouk (Preah Borom Ratanak Kaudh). The Royal Government of Cambodia will dispatch 216 of its peacekeeping troops to join a United Nations peacekeeping mission in Central African Republic late November, according to Kosal Malinda, spokeswoman for Cambodia’s National Centre for Peacekeeping Forces and Explosive Remnants of War Clearance, on Monday. In the 2015-2017 period, a total of 332 kilometers of toll roads were added to the nation’s toll road network. Meanwhile, in the January-September 2018 period another 136.1 kilometers of toll roads were added. Phnom Penh – The Cambodian government and the country’s tourism industry are developing halal tourism to lure tourists from Southeast Asia and the Middle East. The Indonesian Embassy in Cambodia on Thursday, October 12, said that a number of investors were developing halal tourism in the country. A 5.4-magnitude earthquake hit Meulaboh, the capital city of West Aceh District, Aceh Province, on Monday evening but no tsunami warning was issued and there were no immediate reports of casualties or damages. The Ambassador of France to the Lao PDR, Florence Jeanblanc-Risler, and Octavian Bivol, UNICEF Representative, signed on Oct 10 a new agreement to continue working together towards child protection system strengthening in Laos with a focus on the development and implementation of a regulatory framework on national and international adoptions. SK E&C attempted to earn excessive profits with changes to the format and design of a dam in Laos that eventually collapsed last July, an internal document confirmed on Oct. 14. Indeed, the heights of the collapsed dam and other auxiliary dams handled by SK E&C were an average of 6.5m lower than in the basic design diagrams included in the document. Moves in Laos to promote Chinese tourism in the coming year will benefit mainly Chinese businesses already established in the impoverished Southeast Asian country, with ordinary Lao citizens less likely to cash in, Lao sources say. Malaysia has been ranked 55th in the World Bank’s 2018 human capital index, lagging behind Singapore which topped the list. Malaysian confidence in the country’s economic prospects took a dip in the last quarter as Pakatan Harapan’s (PH) lustre started to wear off, the Malay Economic Action Council’s (MTEM) Economic Confidence Score(MECS) survey has shown. Vehicle sales fell in September after the Goods and Services Tax (GST) tax holiday ended on Aug 31 while stocks of some vehicle distributors were depleted, according to the Malaysian Automotive Association (MAA). Dozens of Myanmar garment workers were injured on Monday after a clash with assailants wielding iron bars outside a Chinese-owned factory in Yangon, witnesses and hospital staff said. The power plant, in Minbu township, Magwe Region, is expected to produce 40 megawatts initially but will produce 170MW once fully operational, according to U Maung Maung Kyaw. They posed as fans of pop stars and national heroes as they flooded Facebook with their hatred. MONEY sent by Filipino migrant workers contracted anew in August this year, reversing the growth gains seen in the previous month. While the suspension of the increase in the excise tax on oil will immediately be felt by consumers in terms of lower prices of fuel, spending on some non-infrastructure projects, such as subsidies given to marginalized sectors, might have to be sacrificed. THE Philippines incurred damage of at least P388.74 billion from disasters between 2011 and 2018, according to data presented by the National Economic and Development Authority (Neda), but the cost of recovery and rebuilding was nearly one and a half times that amount. In the Singapore Government’s first-ever bug bounty programme, the Defence Science and Technology Agency of Singapore (DSTA) invited 300 ethical hackers from around the world to test the Ministry of Defence’s (MINDEF) internet-facing systems for vulnerabilities, or bugs. Sales of private homes by developers in Singapore rose about 42 percent in September from a year earlier, government data showed on Monday. SINGAPORE — StarHub Ltd chief executive officer Peter Kaliaropoulos said the company is looking to pare costs even further by sharing infrastructure after announcing he would trim the company’s workforce by about 12 per cent. Commerce Minister Sontirat Sontijirawong has urged commerce attaches to prepare for a global trade war, which he said is likely to intensify next year. The International Monetary Fund (IMF) has raised its Thai economic growth projections for this year and next from 3.9% to 4.6% and 3.8% to 3.9% respectively. More than 20 million speed pills and 100kg of crystal methamphetamine — worth over 2 billion baht — have been seized and three alleged traffickers arrested in two major police operations in Chiang Rai province.